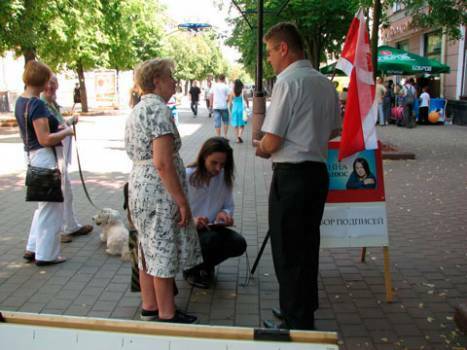 Brest authorities find it inexpedient to expand the list of authorized election campaigning locations in the city, says a reply from the region’s executive committee received by Ihar Maslouski, running for Parliament in constituency No. 2. The official letter signed by deputy chairman of the committee Leanid Tsupryk argues that two locations are enough to hold meetings with voters in the constituency. The executive official also says that the locations can be easily reached by public transport, while the independent candidate argues they are situated on the outskirts of the city. Earlier, a similar complaint by Ihar Maslouski was dismissed by chair of the Central Election Commission Lidziya Yarmoshyna.